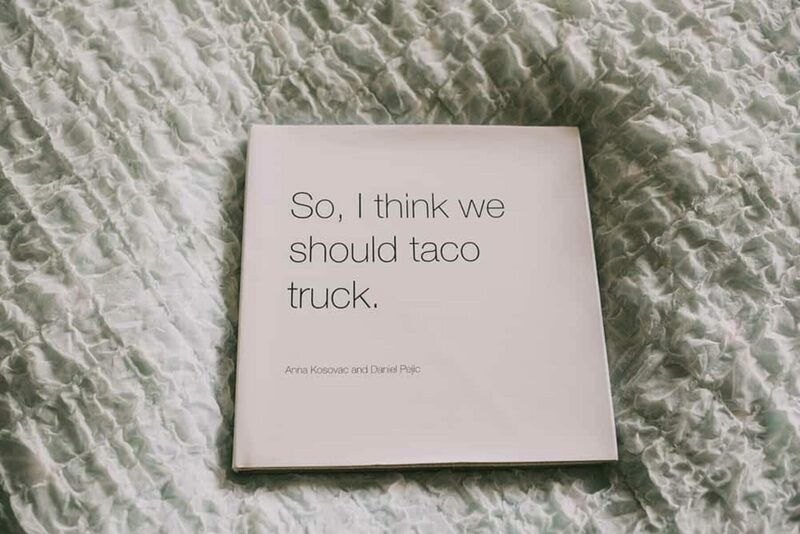 “So, I think we should taco truck” was the line that started it all. 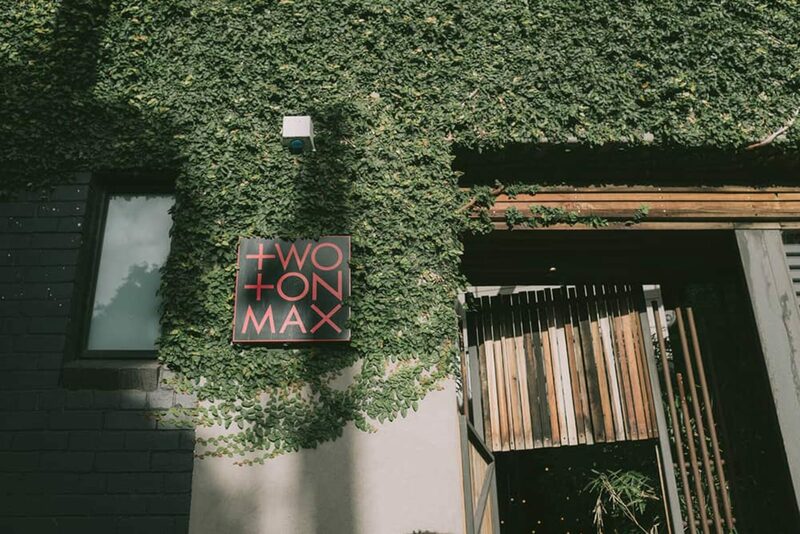 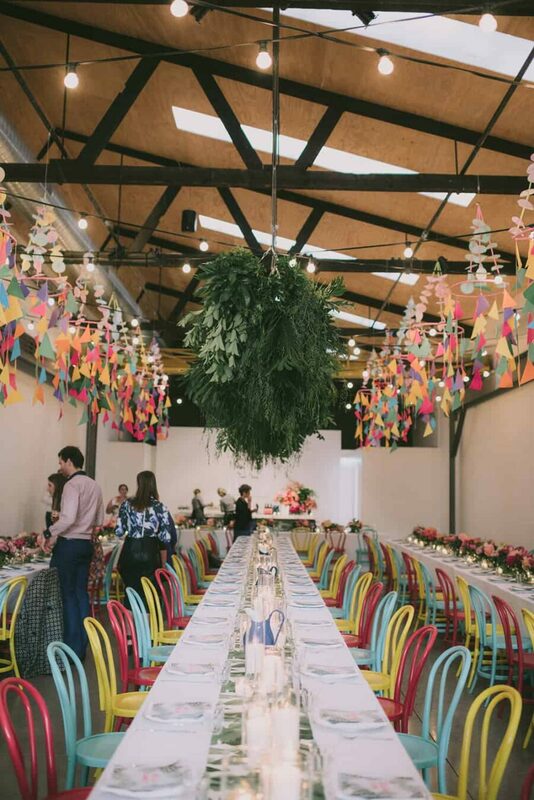 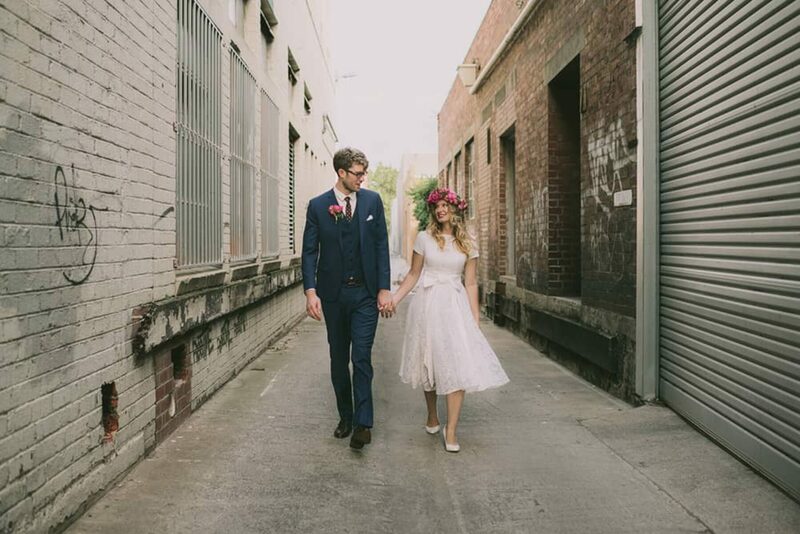 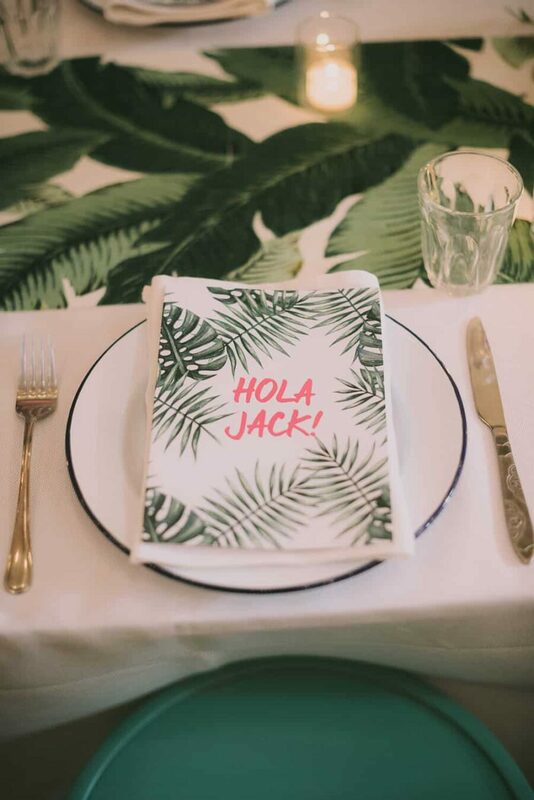 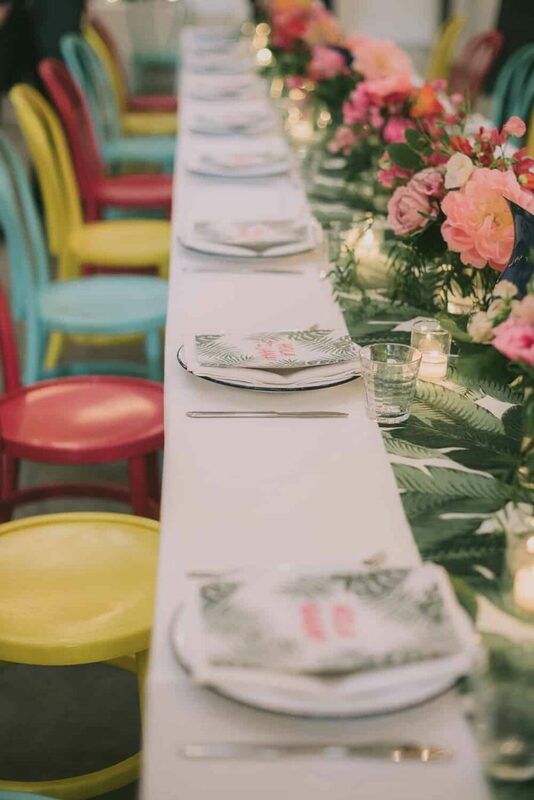 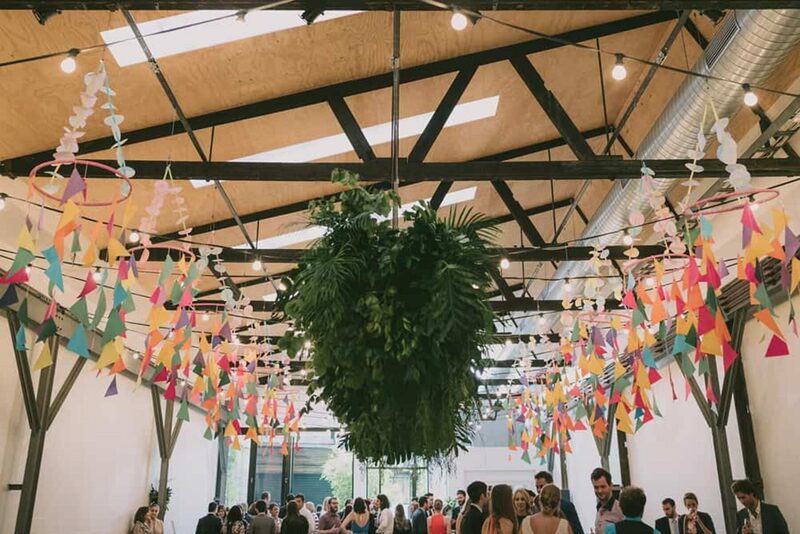 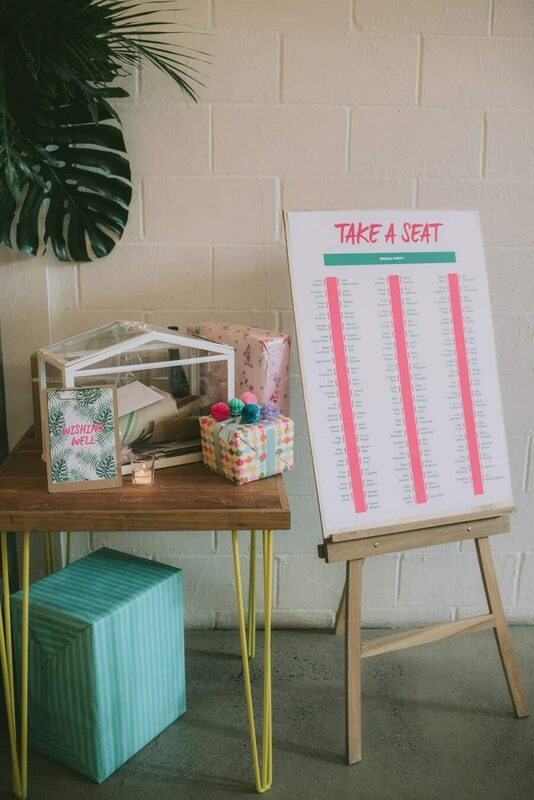 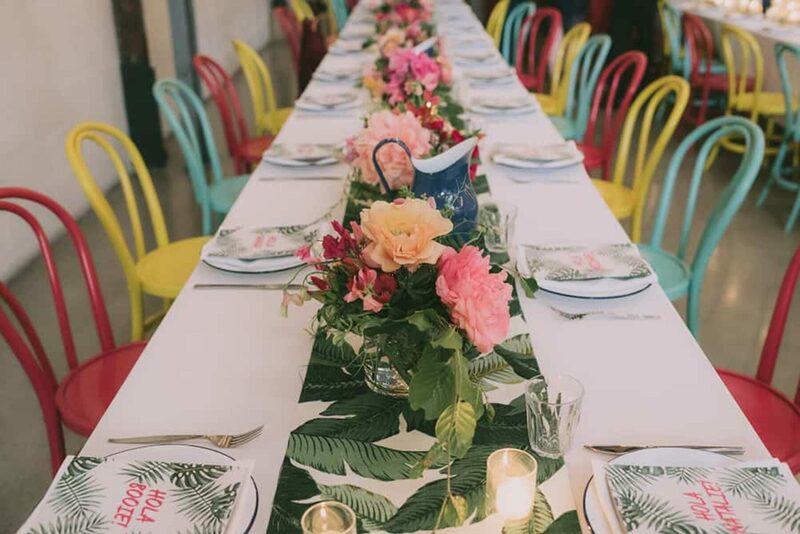 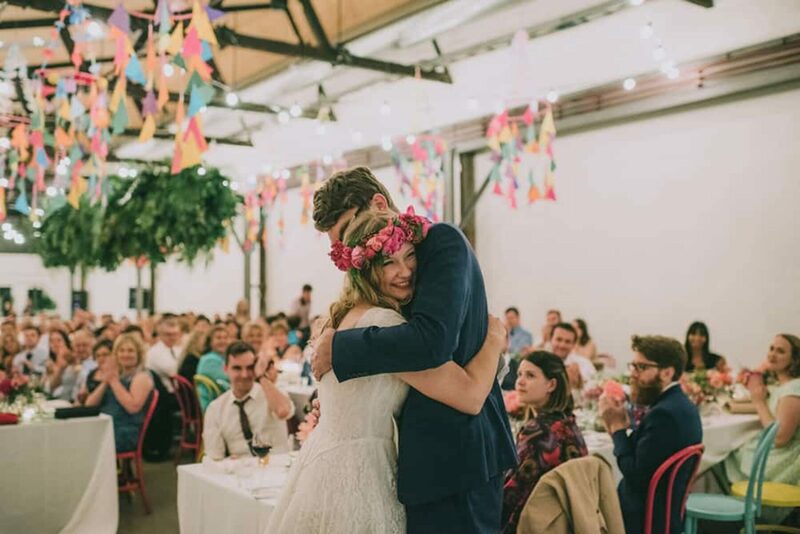 It was Anna’s opener for asking Dan out and formed the inspiration for their colourful, Mexican-inspired wedding at Melbourne’s Two Ton Max. 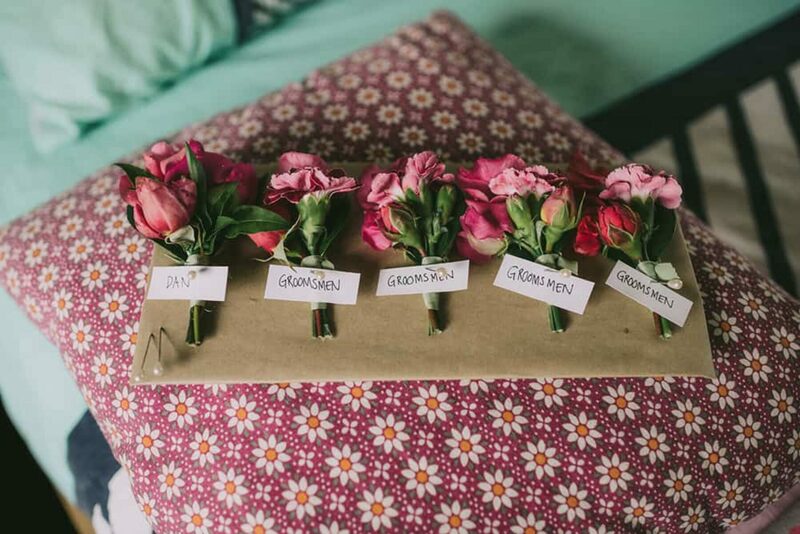 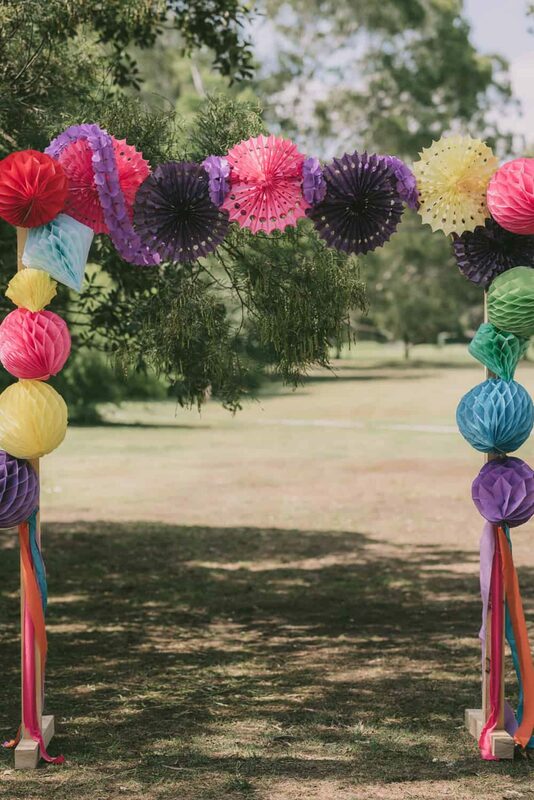 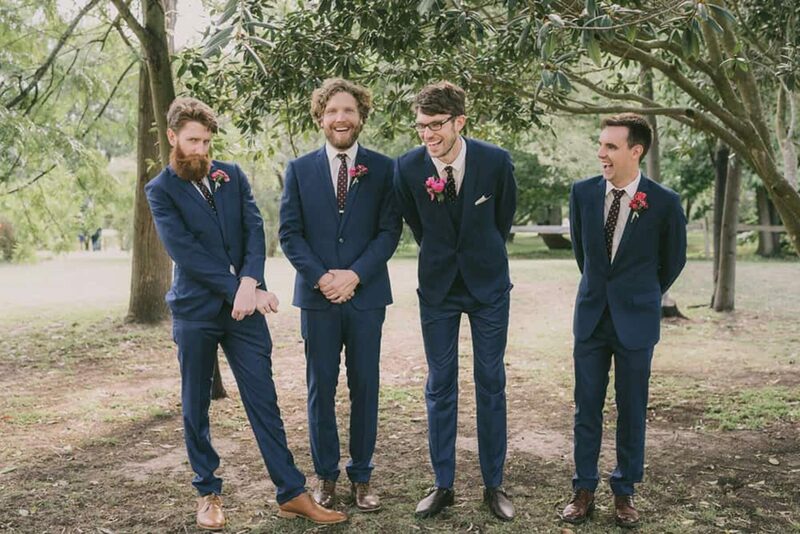 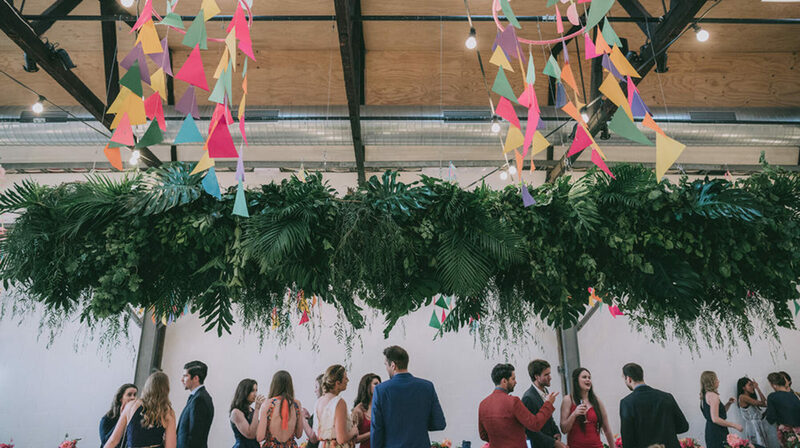 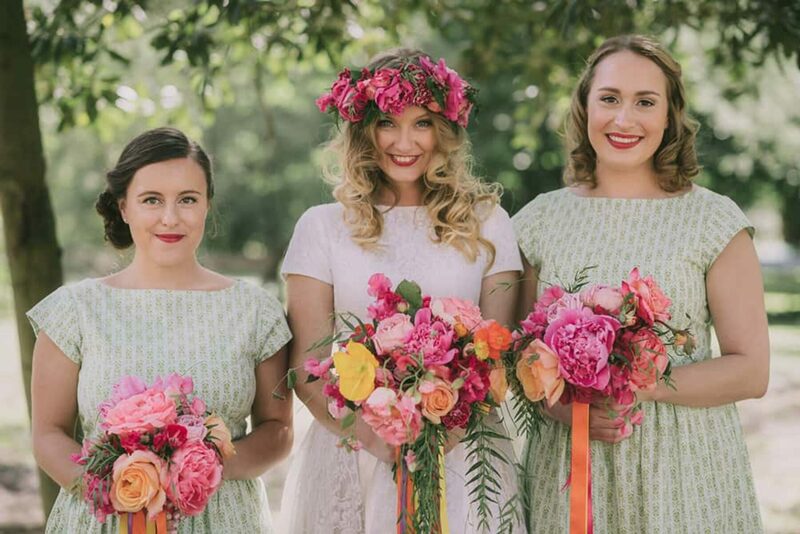 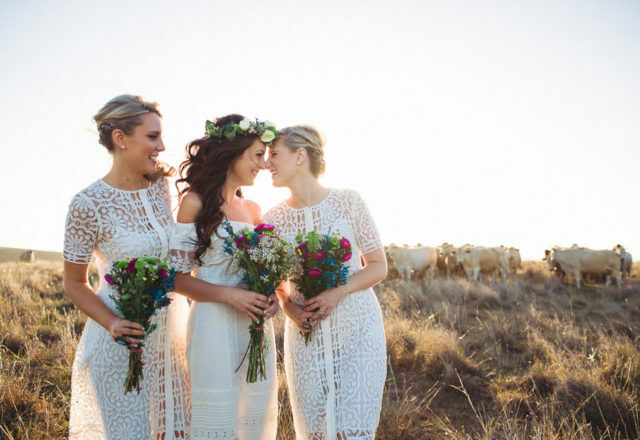 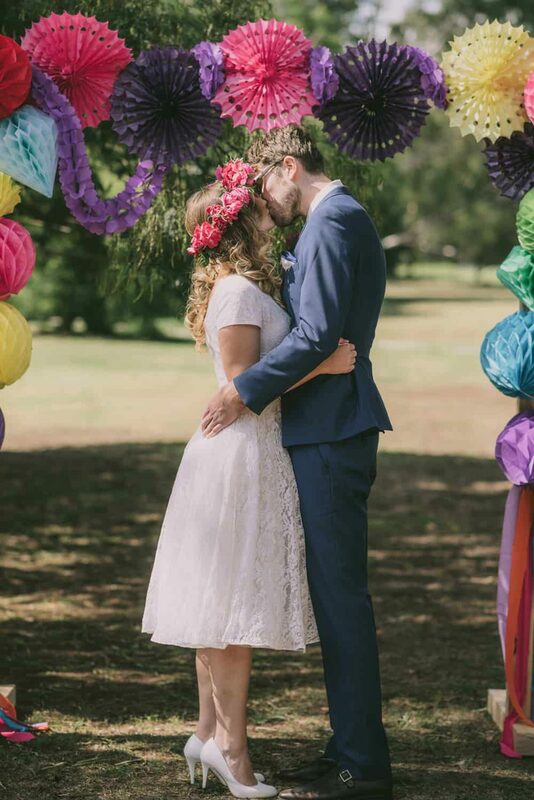 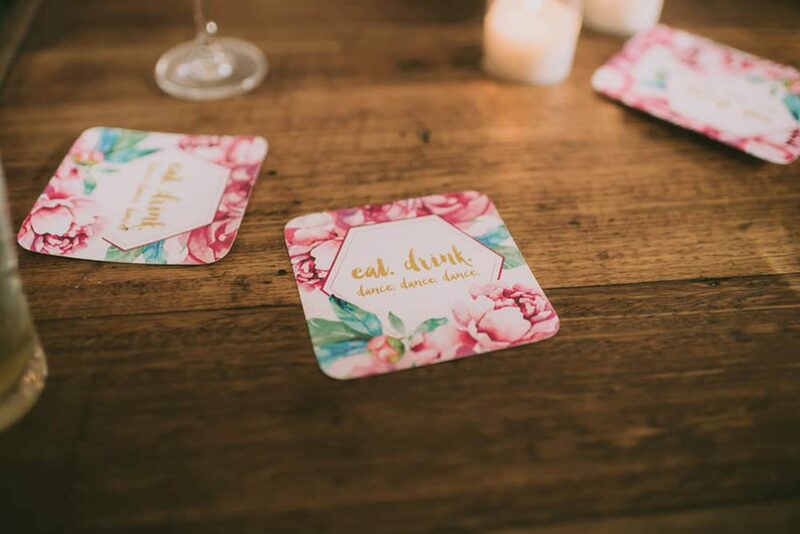 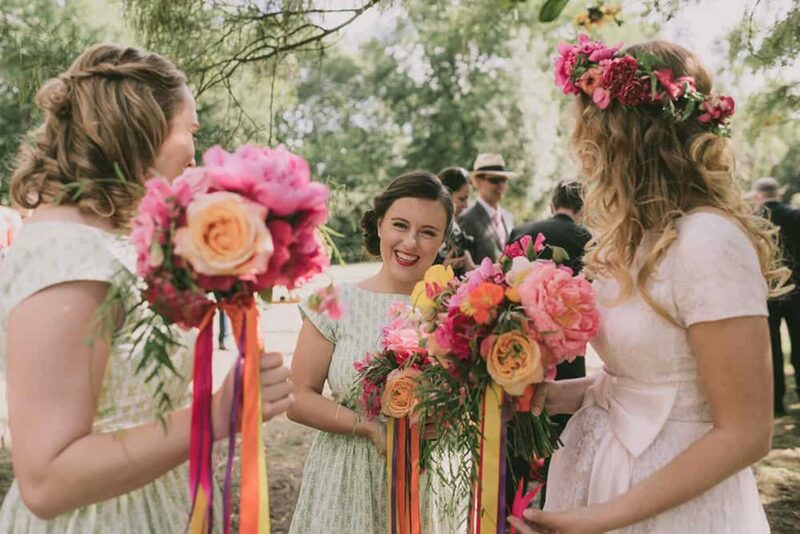 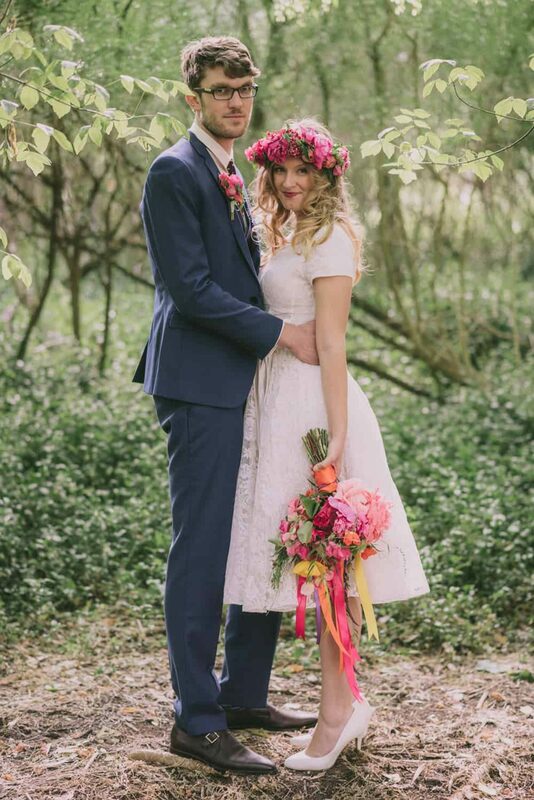 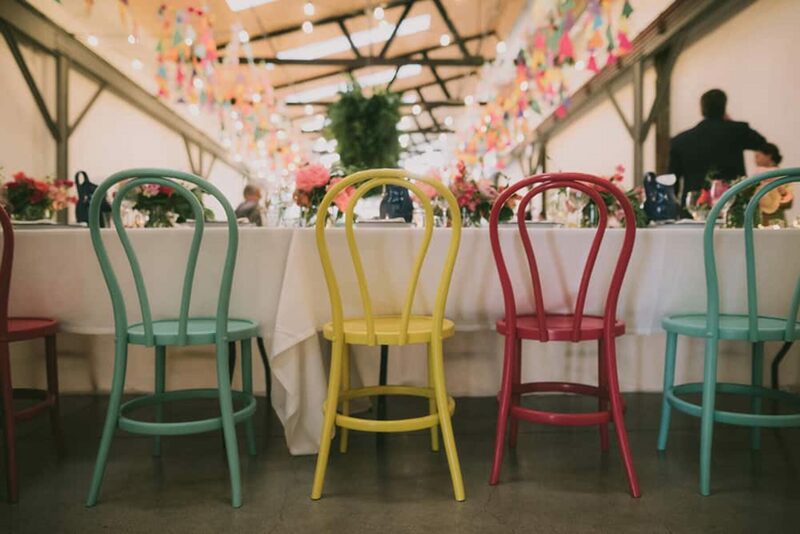 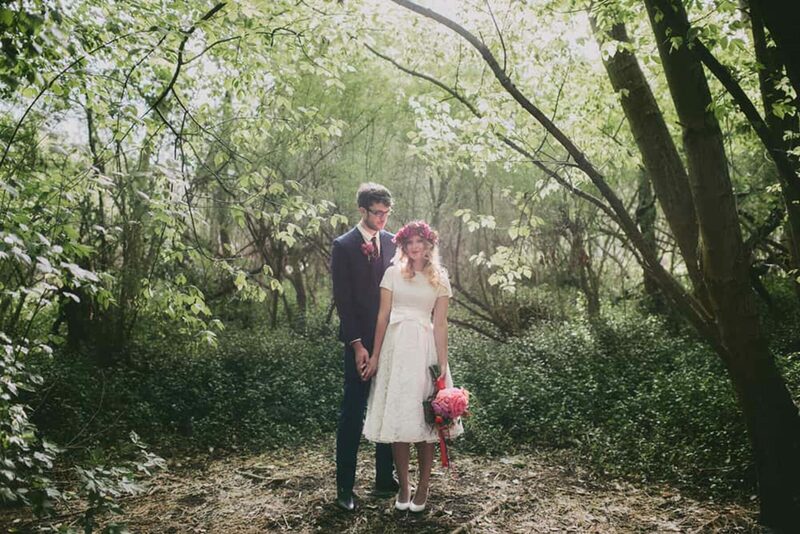 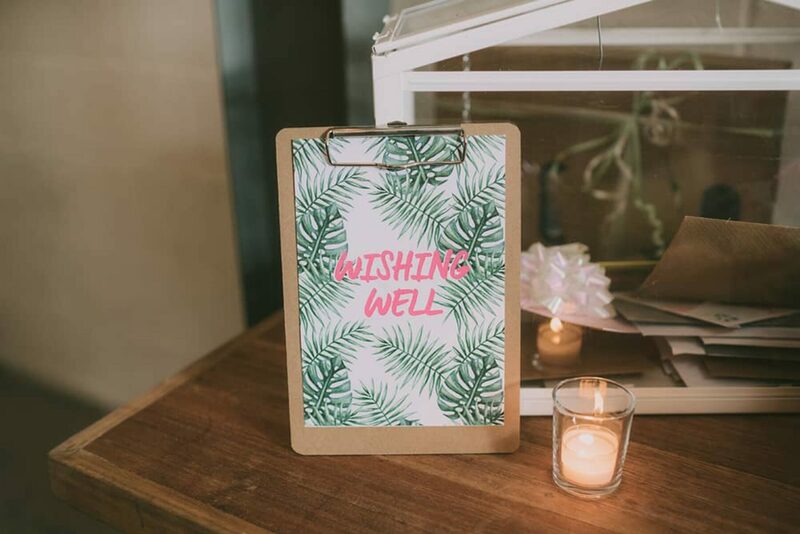 When it came to styling their wedding, it was all about the brights. 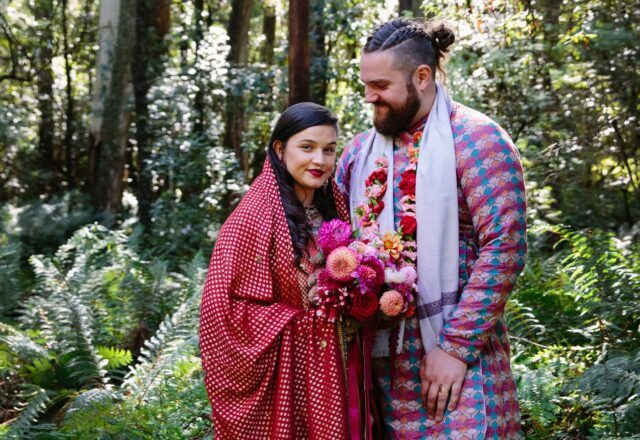 “We love colour!” Anna tells us. 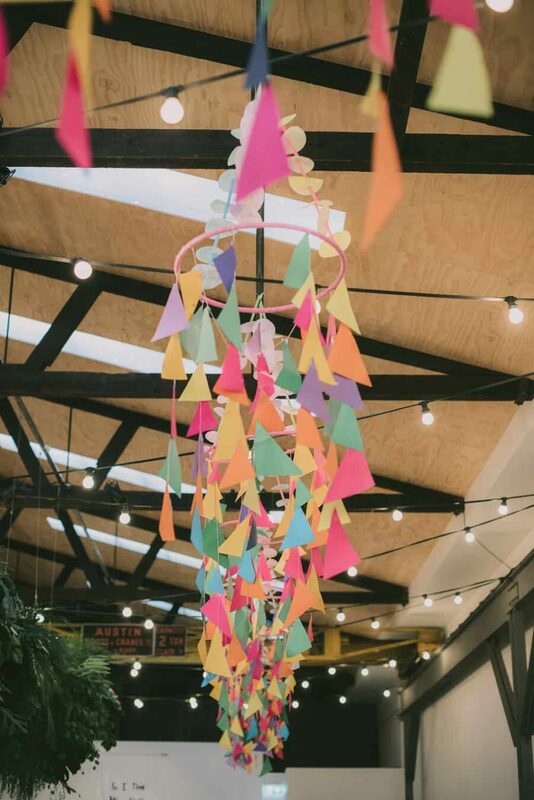 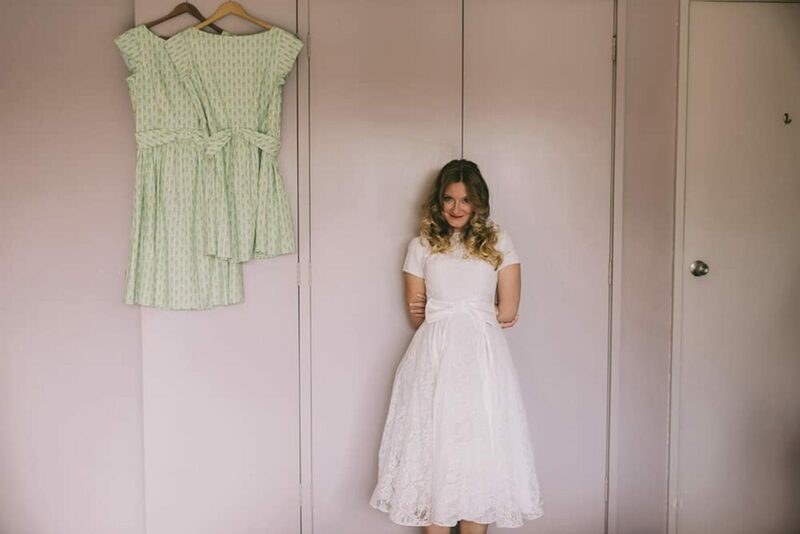 “Our place is filled with little bits and pieces that are colourful and handmade. 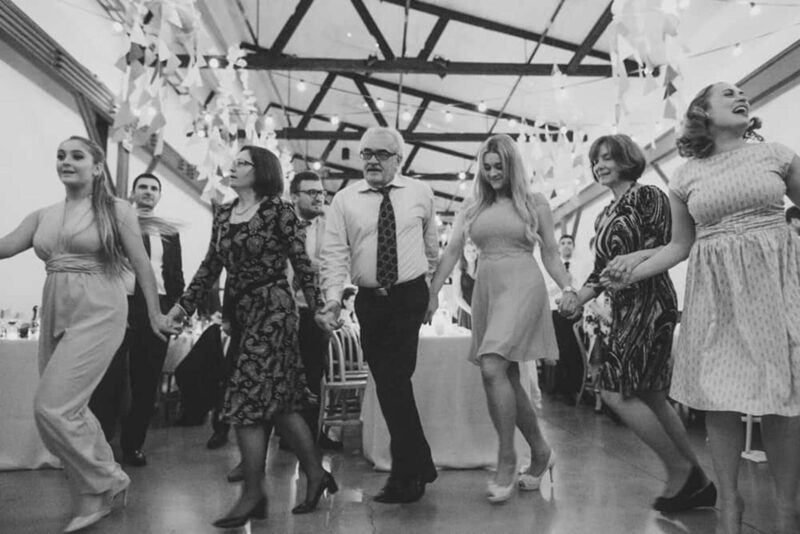 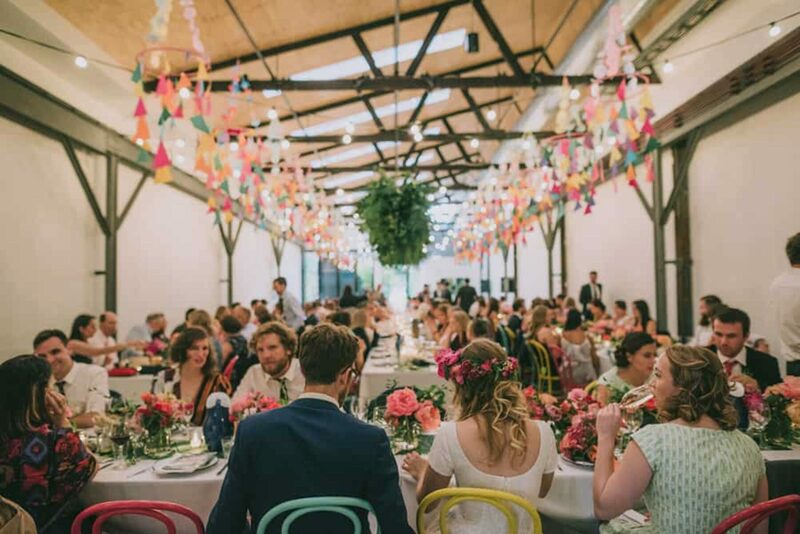 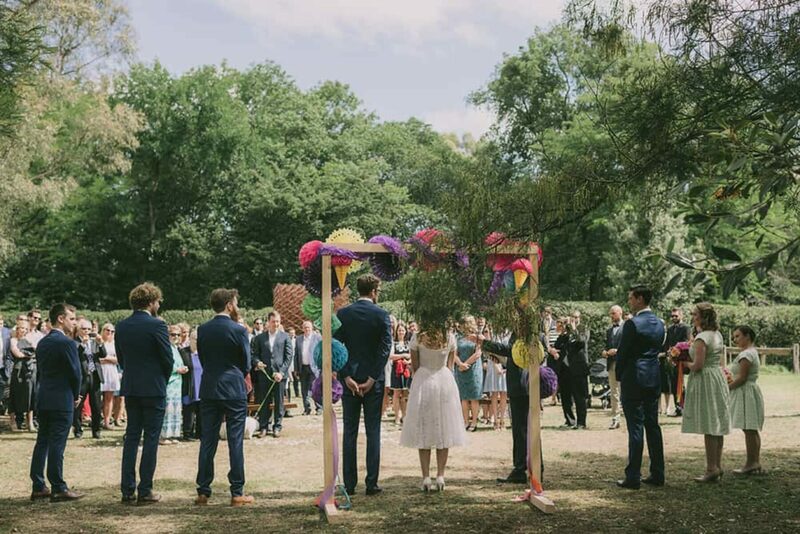 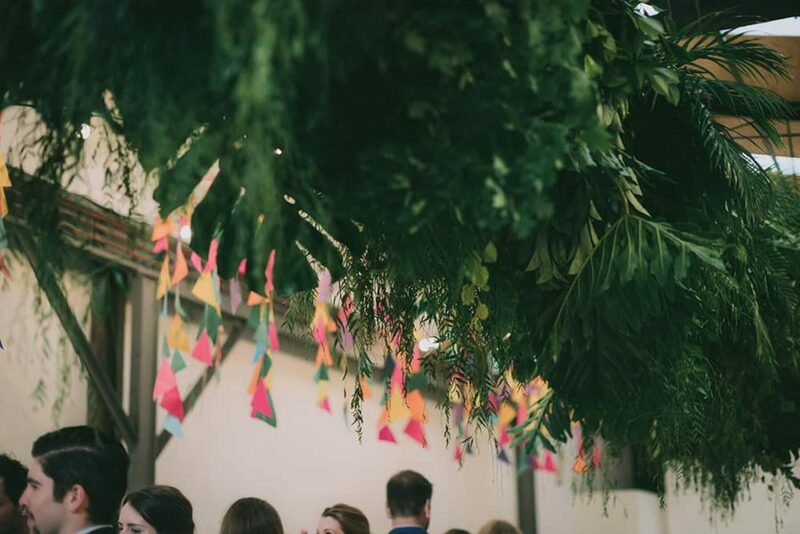 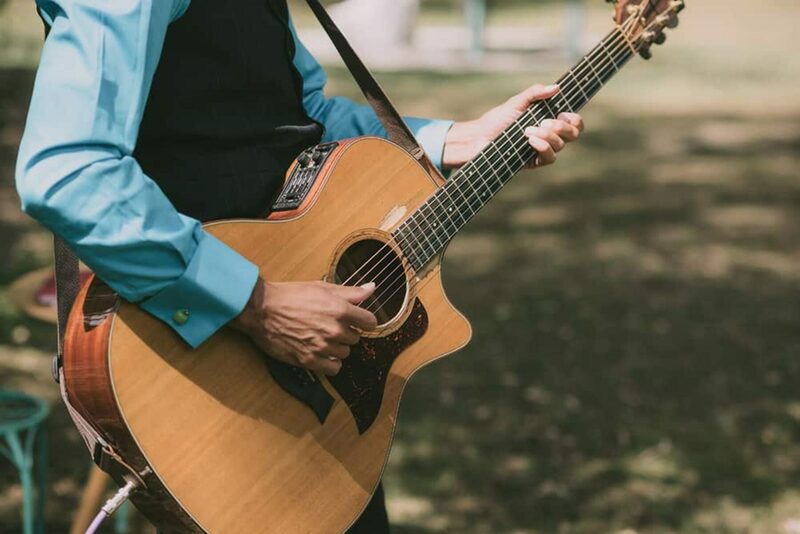 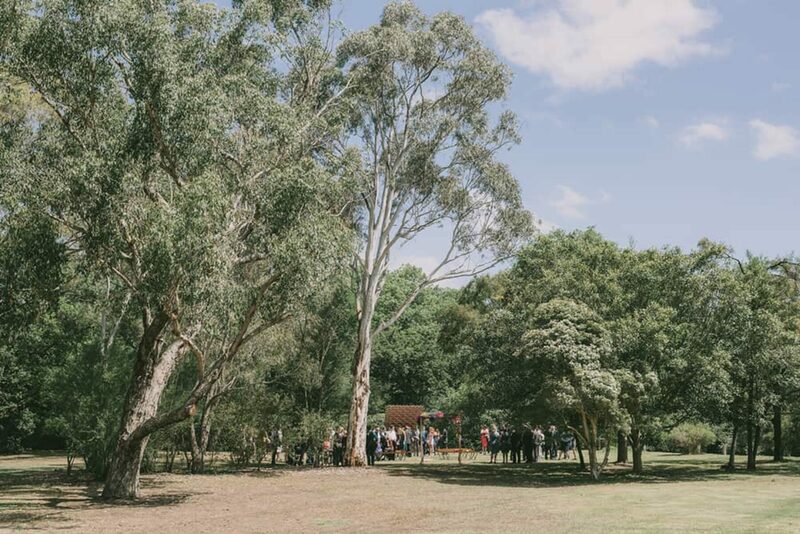 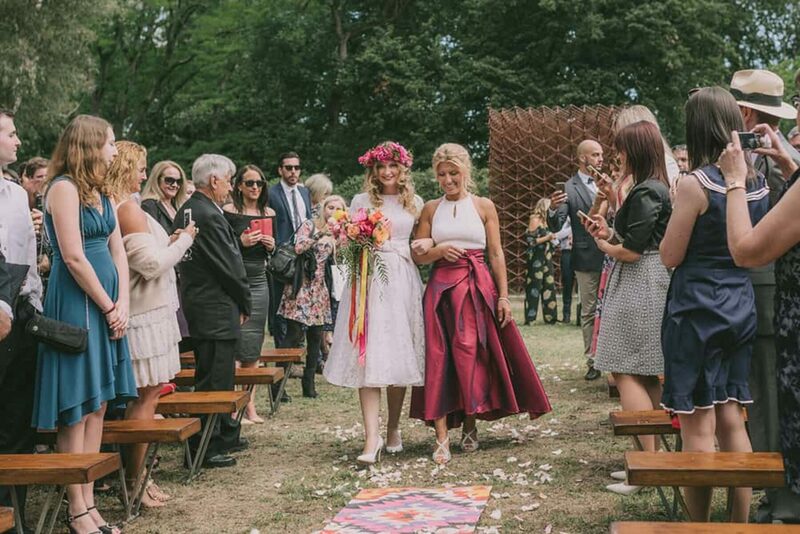 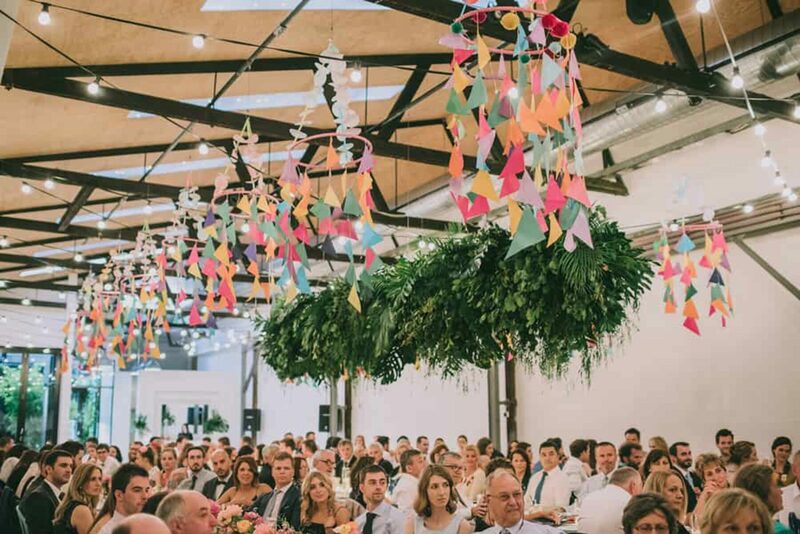 Thetis (from Sooti Events) picked up on our style straight away, and designed things based on that.” A vibrant ceremony at Heide Museum was followed by an even more vibrant celebration at the industrial Two Ton Max. 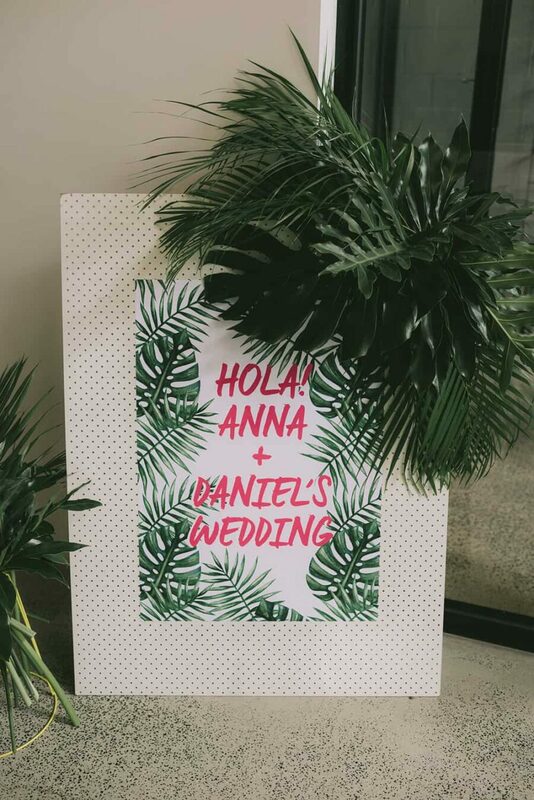 With Mexican hints throughout and plenty of nods to Anna’s taco truck line, the space was styled with coloured bentwoods, handmade mobiles and a tropical foliage canopy by Badlands & Co.
Anna and Dan opted to for the pre-ceremony first look in their garden, but not everyone was delighted with how it went down. 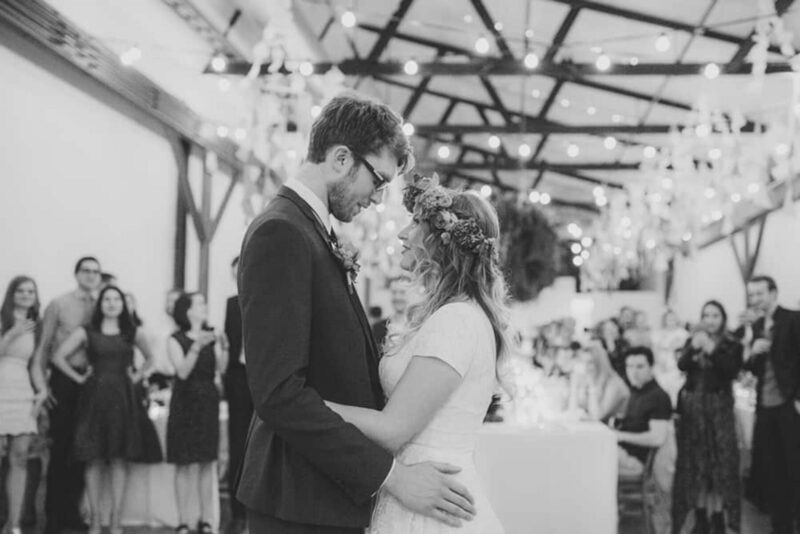 “Our dog, Ernest Hemingway, was very upset that Dan didn’t greet him properly,” Anna recalls. 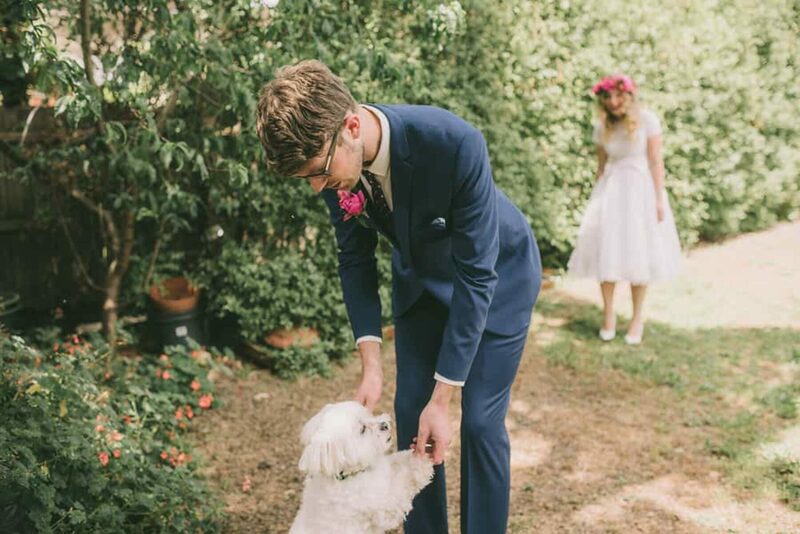 “He proceded to bark at him and jump all over his suit pants.” Not a great start! 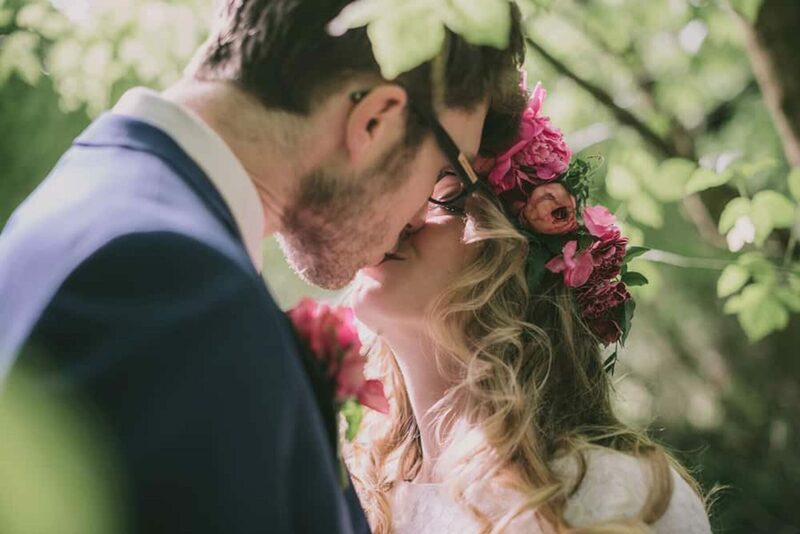 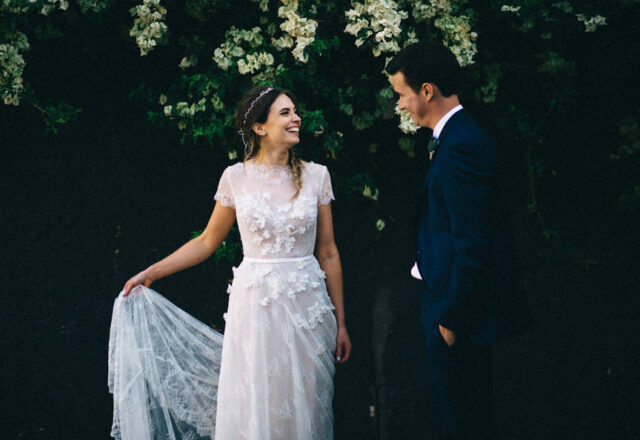 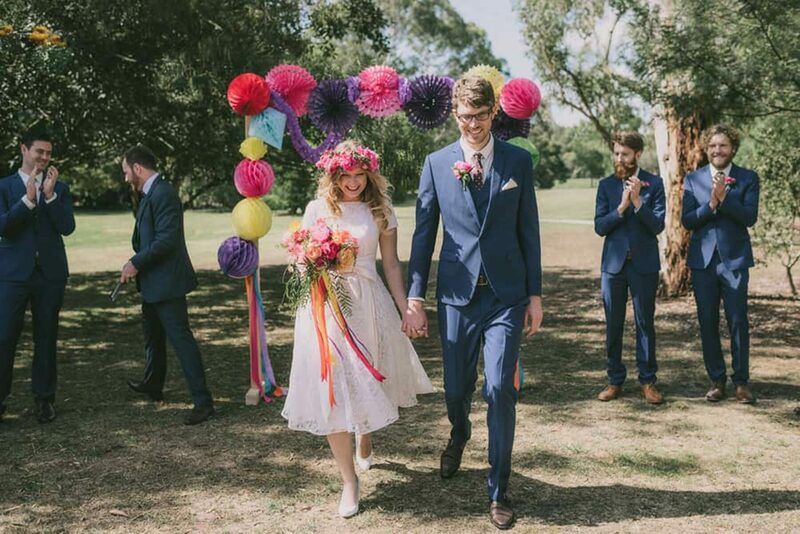 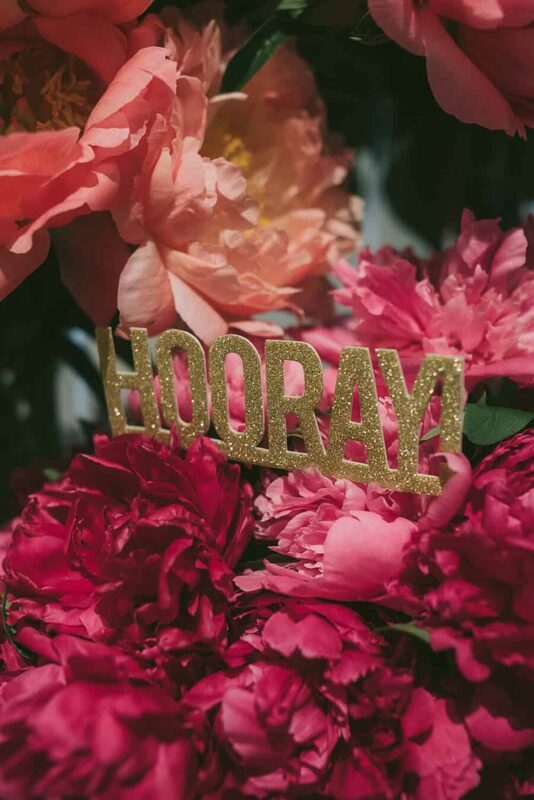 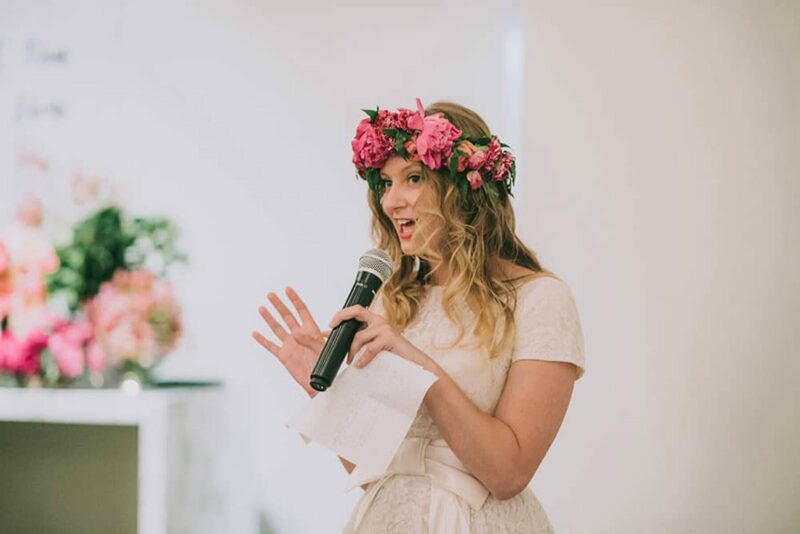 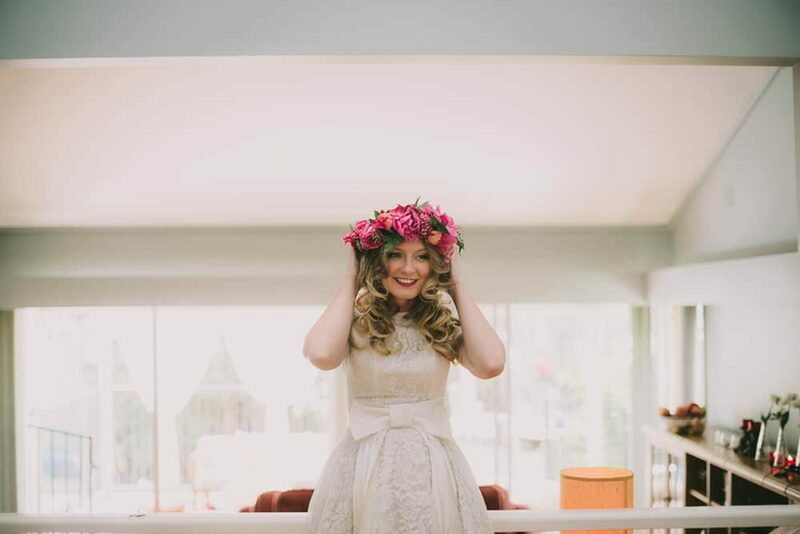 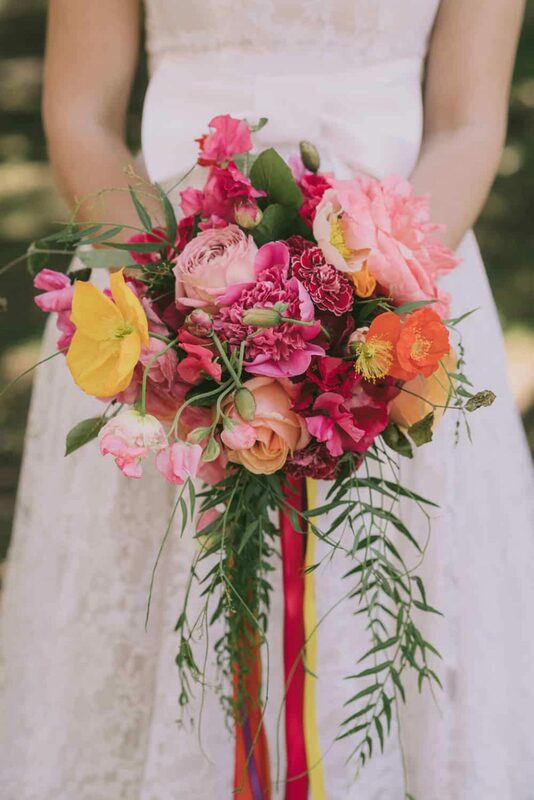 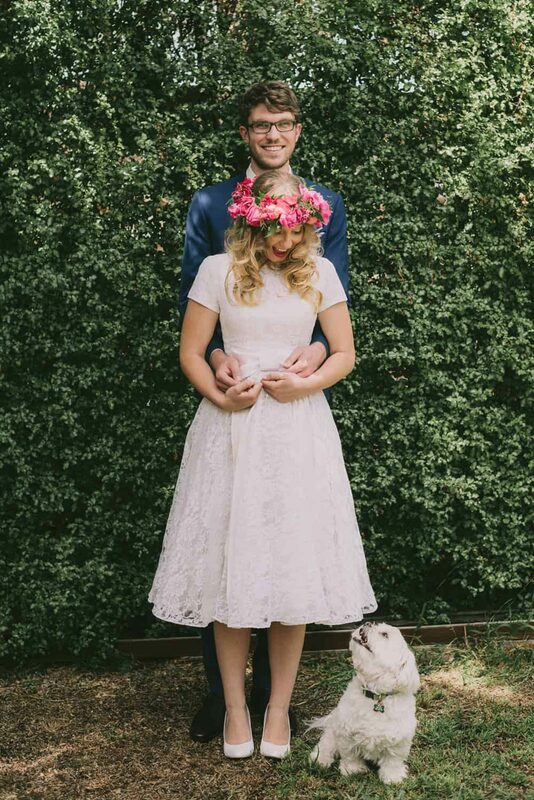 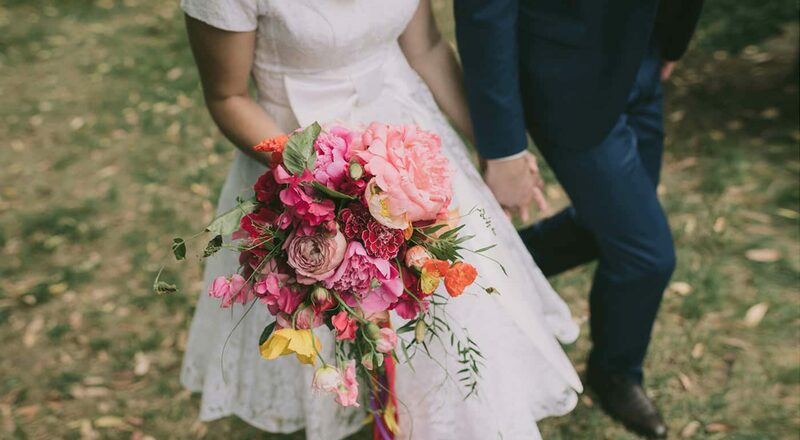 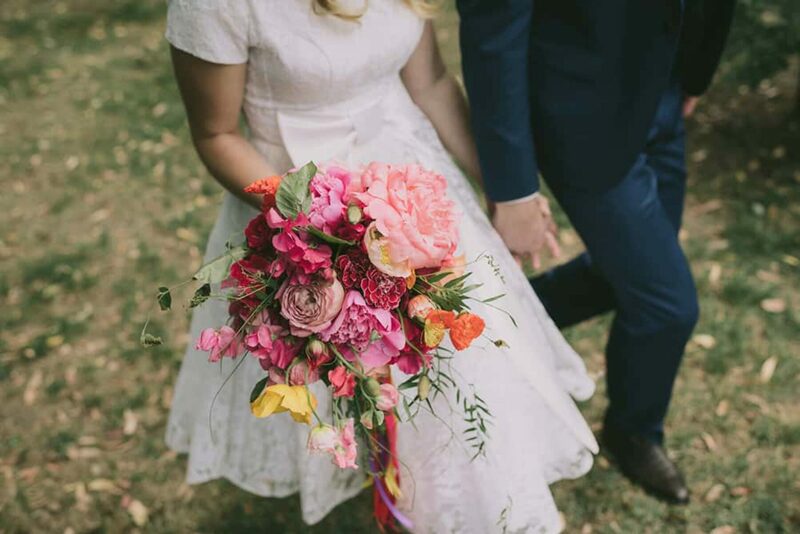 Abundant colour was at the core of Anna and Dan’s day, and Melbourne florist Badlands & Co delivered in spades with vibrant bouquets and a statement flower crown for the bride. 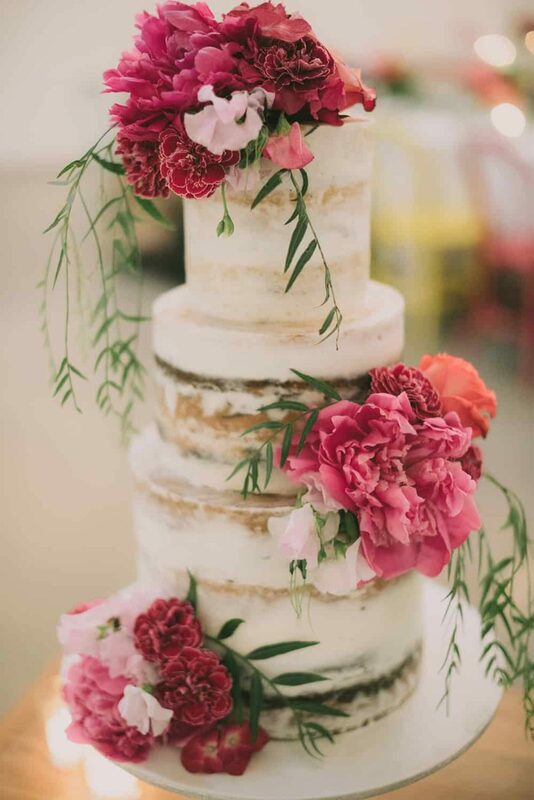 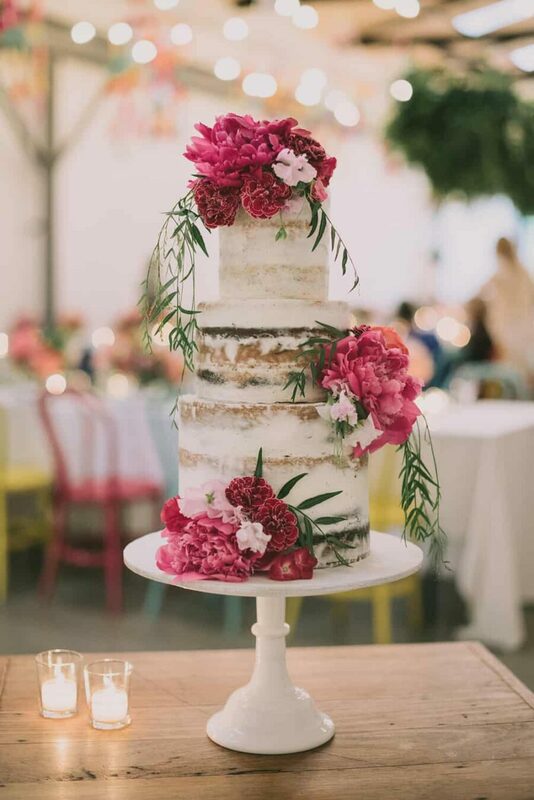 Adorned in gorgeous fresh blooms, we can't get enough of this heavenly three tiered, semi-naked cake by Sweet Dakita. 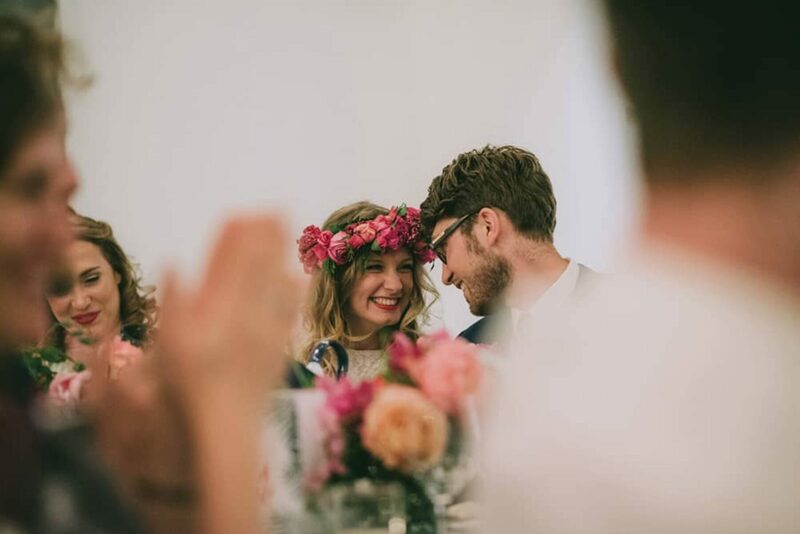 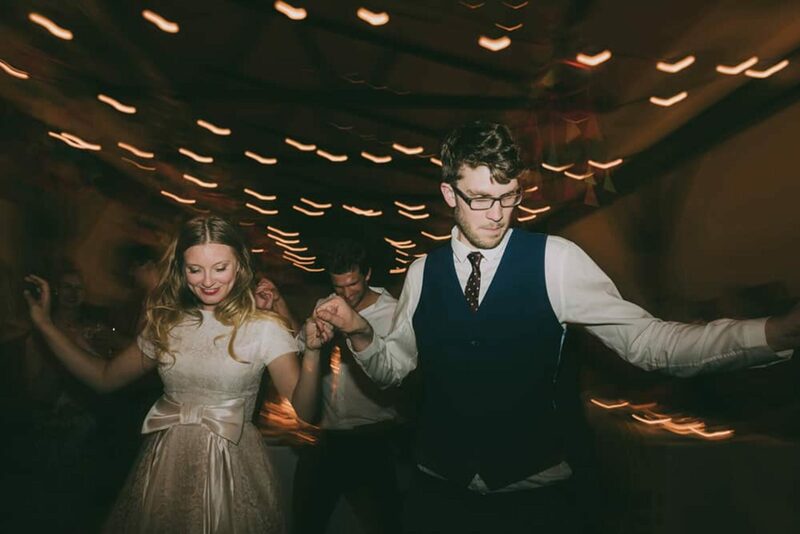 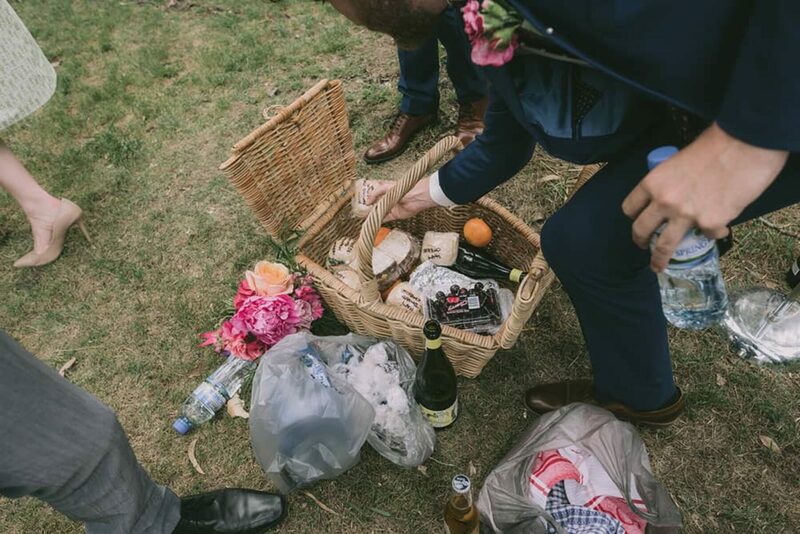 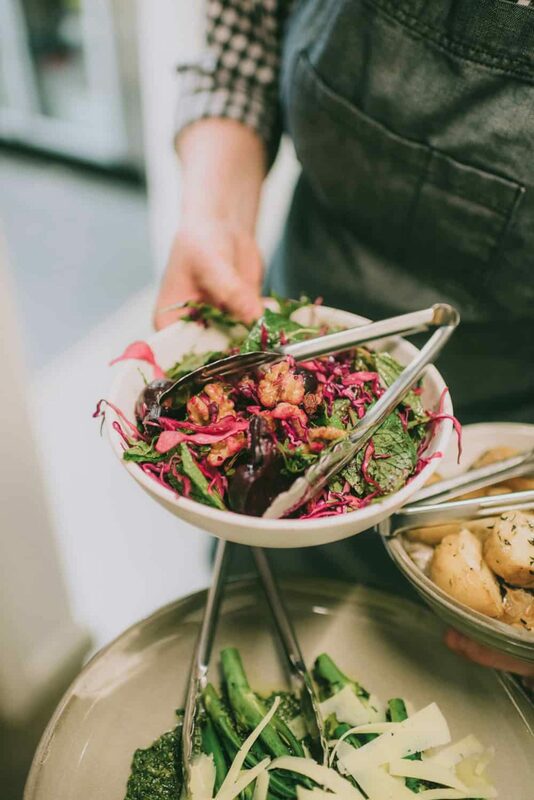 With their fresh, seasonal approach and abundant share platters, The Grub Club was the perfect choice to cater Anna and Dan’s relaxed wedding feast.